Asking questions about success is a powerful way of getting the customer thinking. It has the potential to unlock a new level of engagement, because it is not the type of question that buyers expect to be asked regularly. For the customer who is expecting a sales pitch, a genuine conversation about success is quite a pleasant surprise. When the salesperson gets the buyer thinking about success, it inevitably leads to a discussion on key success factors, as well as possible risks or barriers to success. 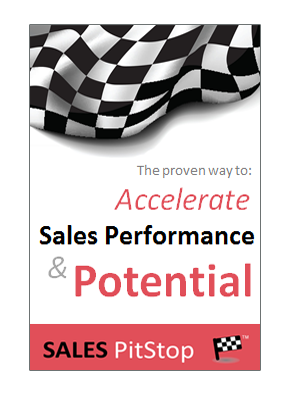 This is fertile ground for the salesperson as these are hooks upon which solution and benefits are hung. In an age where buying decisions are governed by approvals procedures and budgetary controls defining success can be key to getting the purchase order sanctioned. 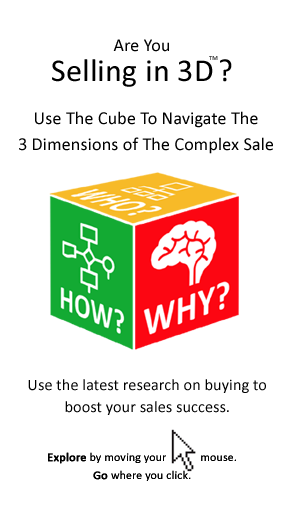 Buyers must be in a position to justify their decisions and being able to explain the results achieved as a result of a purchase is key. If the buyer cannot define success then perhaps the salesperson should be cautious about the likelihood of the decision being made, at least in the short term.